Following the resounding success of our previous blog series – where we asked every member of our team a series of quick-fire questions in the hope of helping you get to know us a little bit better – we are back with a brand new feature. This year, team WW are taking on BBC Radio 4’s Desert Island Discs, a popular radio programme in which guests are asked to choose eight recordings, a book and a luxury item that they would take with them if they were to be cast away on a desert island. 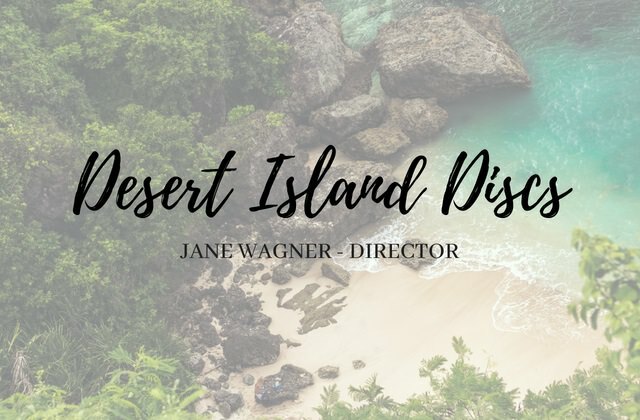 To kick off the series, we are joined by waltonwagner Director Jane Wagner – read on to find out what Jane’s choices were. 1) You can bring 8 of your favourite songs to the island – which ones would you pick and why? 2) You can bring one book with you (to accompany the Bible or another religious work, and the complete works of Shakespeare, both of which you automatically get) – which book would you bring? 3) You can also have one luxury item, which has to be inanimate and can’t help you escape the island or allow communication from outside. What item would you take with you? If you would like to find out more about Jane, take a look at her bio in the Team section of our website or read our interview with her. To find our what records the rest of our team would bring to the island, keep your eyes on the website. About us: waltonwagner was established over eight years ago by Jane Wagner and Nick Walton. We are a company who love property. We love project managing, designing, developing and dreaming all things property. We love the big picture and the devil you find in the detail. We love the fact that our clients come to us to achieve things they never thought possible with their buildings and that we are valued for our sensible, practical advice and guidance.